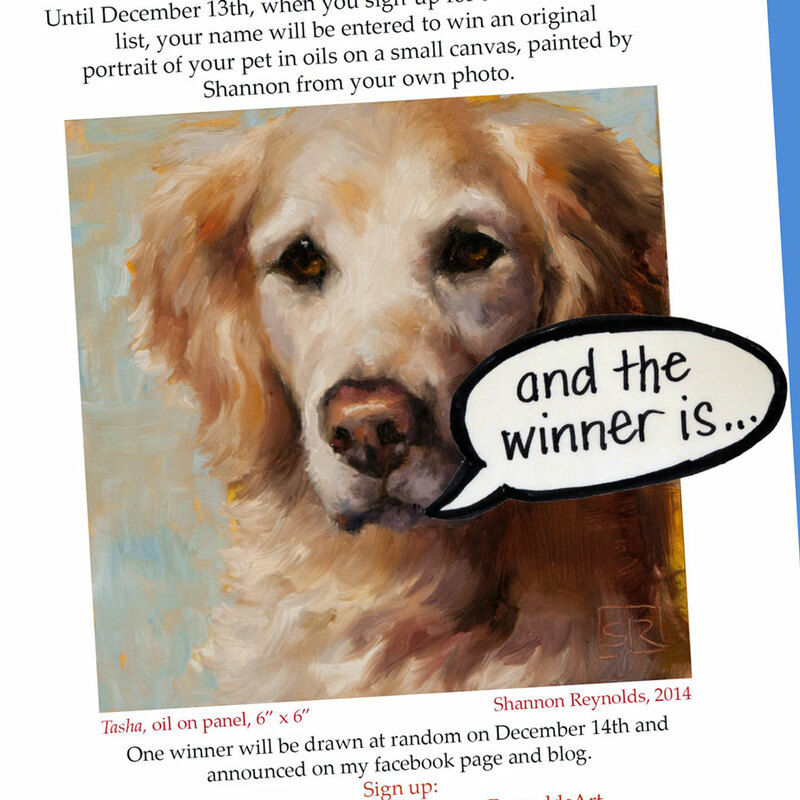 Thank you to everyone who joined my mailing list and by joining entered my pet portrait contest. The winner is Emma Storey, who has very graciously accepted her prize. Congratulations, Emma. 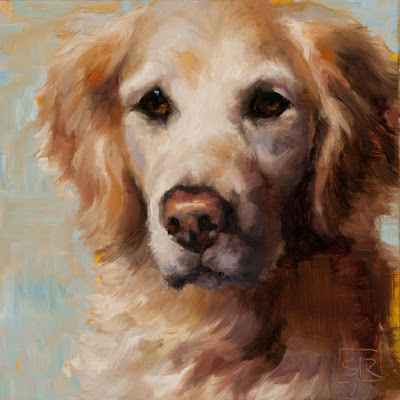 Emma has and has had many pets and will have to decide which will be the portrait subject. I'm looking forward to seeing her choice. 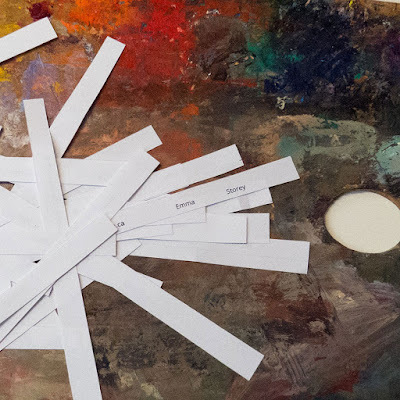 I will post the painting here once it's completed, likely in the new year. To those of you who didn't win this time, I am happy to accept pet portrait commissions any time. 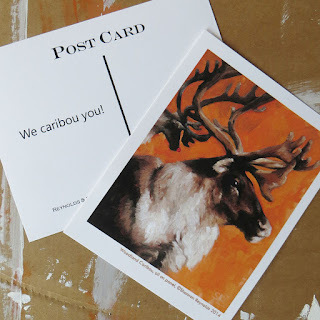 A caribou is a reindeer by another name. Both belong to the species Rangifer tarandus, although their long separation across continents--caribou in North America and reindeer in Eurasia--means some differences have crept in over thousands of years. As far as I know, for example, Canadian caribou don't fly. 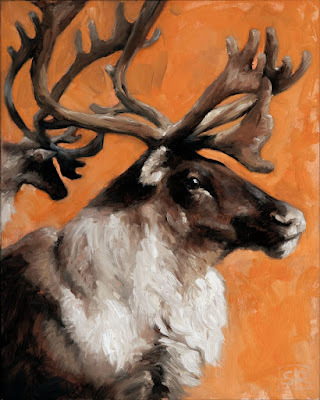 Woodland Caribou, oil on panel 8" x 10"
Even so, I painted this Woodland Caribou for last year's Christmas postcard. 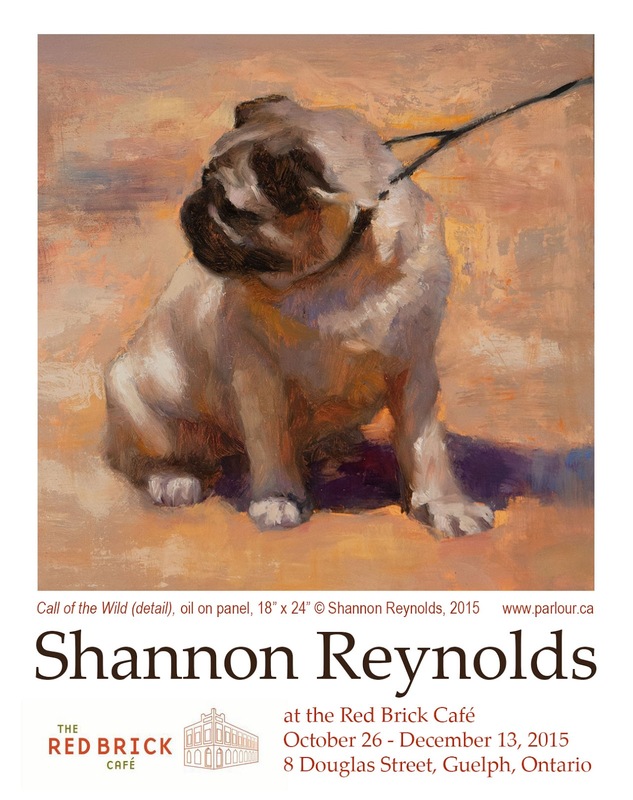 The original painting is available for one more week at the Red Brick Cafe in Guelph where my solo exhibition continues until December 13th. 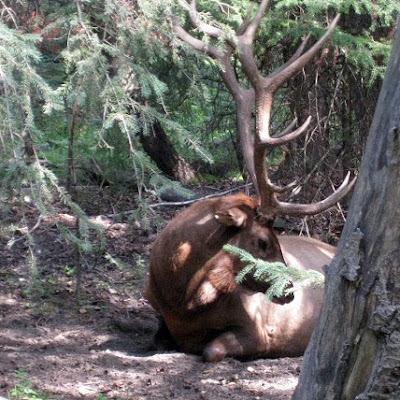 And, of course, neither a Caribou nor a Reindeer is An(ne) Elk. There's really no substitute. 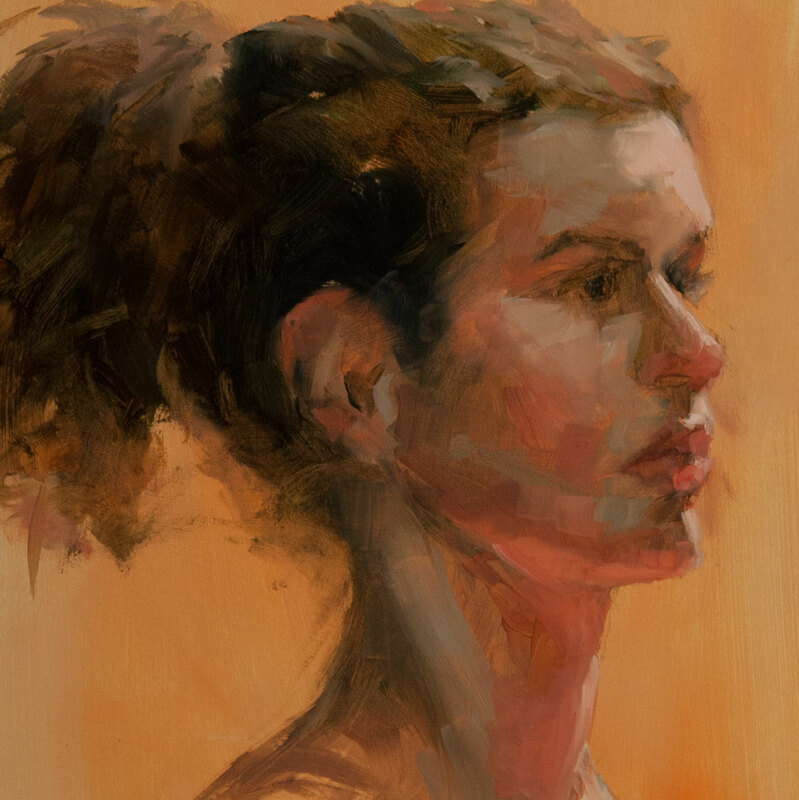 I love to set up my portable paintbox and tripod and paint with a limited colour palette in one burst of intense concentration. There was a great turn out last Wednesday night for the sustained pose at the Cambridge Centre. Here is my oil painting of our lovely model, Irena. 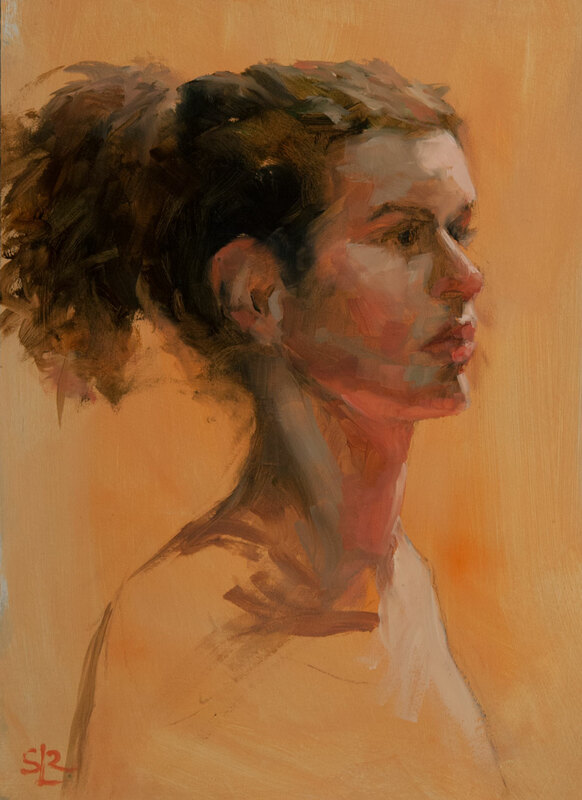 Irena, portrait study from life, oil on gessoed board, 9" x 12"
...of the Red Brick Cafe in Guelph, where they can be seen daily for the next few weeks, while my exhibition is hanging. 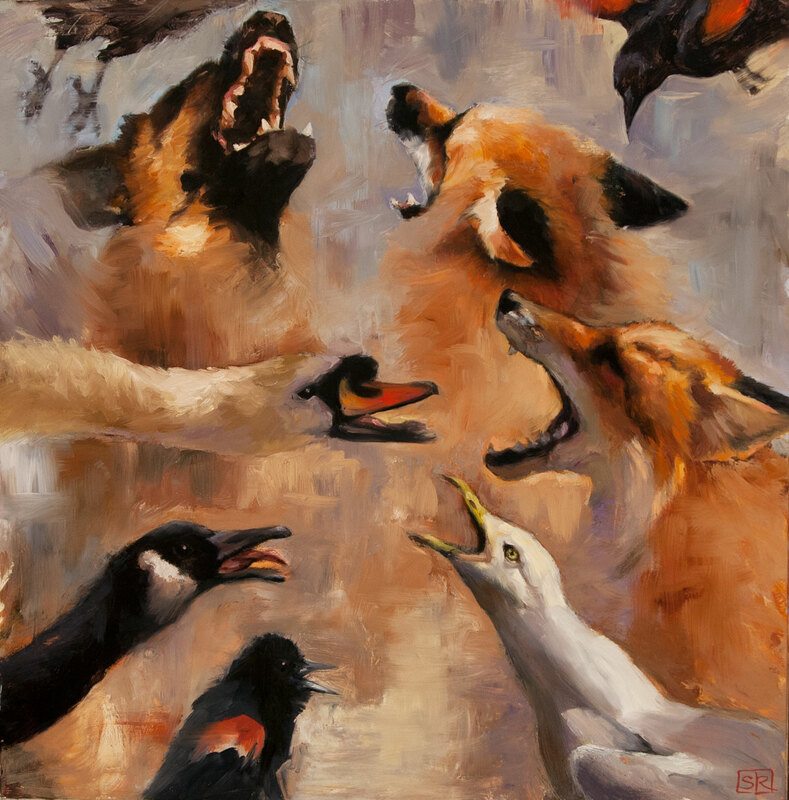 Angry Birds (detail), oil on birch panel, 30" x 40"
My show at the Red Brick in Guelph is in its second week. It runs through December 13th, so you still have plenty of time to stop in for a look. Get in touch if something catches your eye. 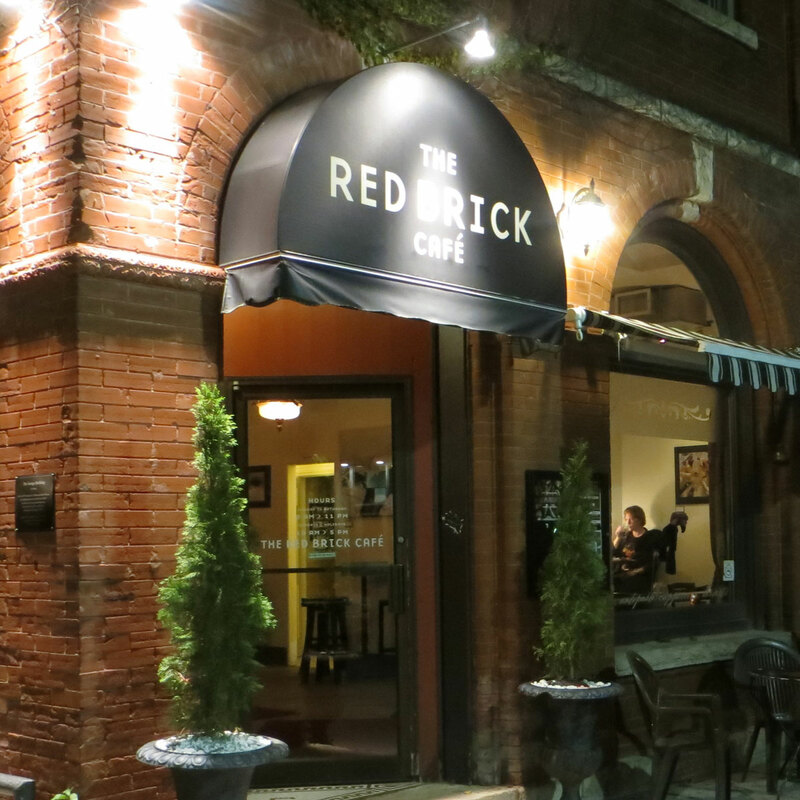 My paintings will be hanging at the Red Brick Café in downtown Guelph until December 13th. The exhibition features a few large paintings and many smaller landscapes and animal studies as well as some oldies but goodies from earlier series, notably my dj hands. There's something for everyone. 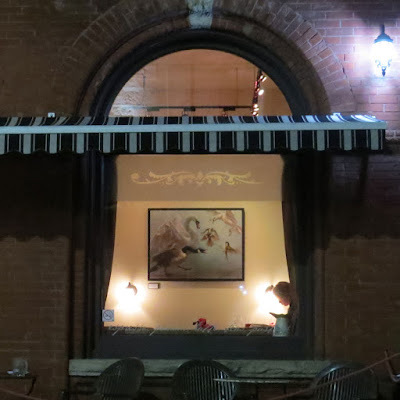 The historic cafe/gallery space is high-ceilinged and light-filled with several comfortable rooms. 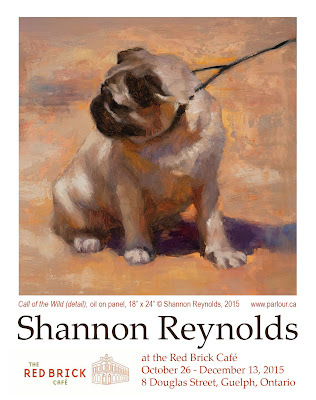 If you are in Guelph over the next few weeks, I hope you stop in for a cappuccino or a craft beer and let me know what you think of the show. a female deer. 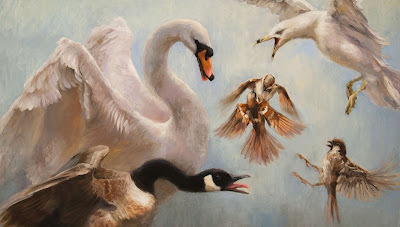 Elegant creature. Tick vector. Driving hazard. Muncher of gardens. We spotted this one and several others in the long grass near a popular surfing beach on Nova Scotia's south shore. 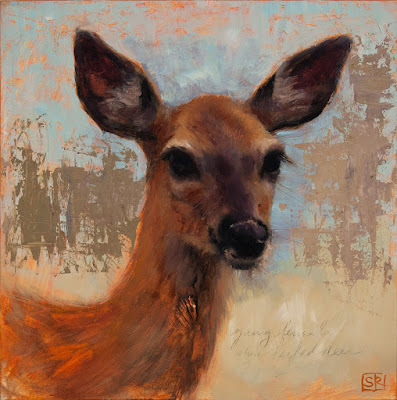 Young Female White-tailed Deer, oil on panel, 12" x 12"
Clangor, oil on panel, 18" x 18"
Cacophony, oil on panel, 18" x 18"
at least until after dinner when we relieved any lingering tensions by throwing fallen walnuts at each other in the nearby park. We didn't brave the cold to see the overnight art spectacle this year, but I heard we missed a sculpture of one of these stealthy killers constructed entirely of Lego blocks by Toronto Artist Ekow Nimako. 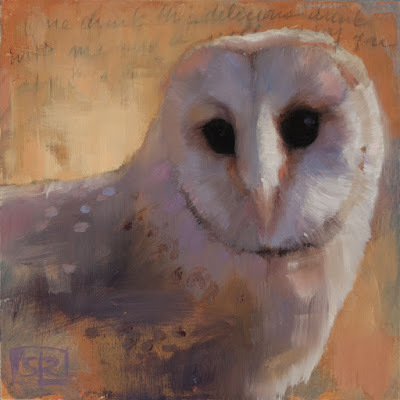 Barn Owl sketch, oil on panel, 6" x 6"
This is my far more humble sketch of a Barn Owl painted earlier this year. Even in Southern Ontario, we're at the very northern tip of its habitat. Maybe if global warming continues, the Barn Owl will venture farther north, and then we'll have yet another reason to preserve small family farms, which offer ideal nesting and hunting grounds. 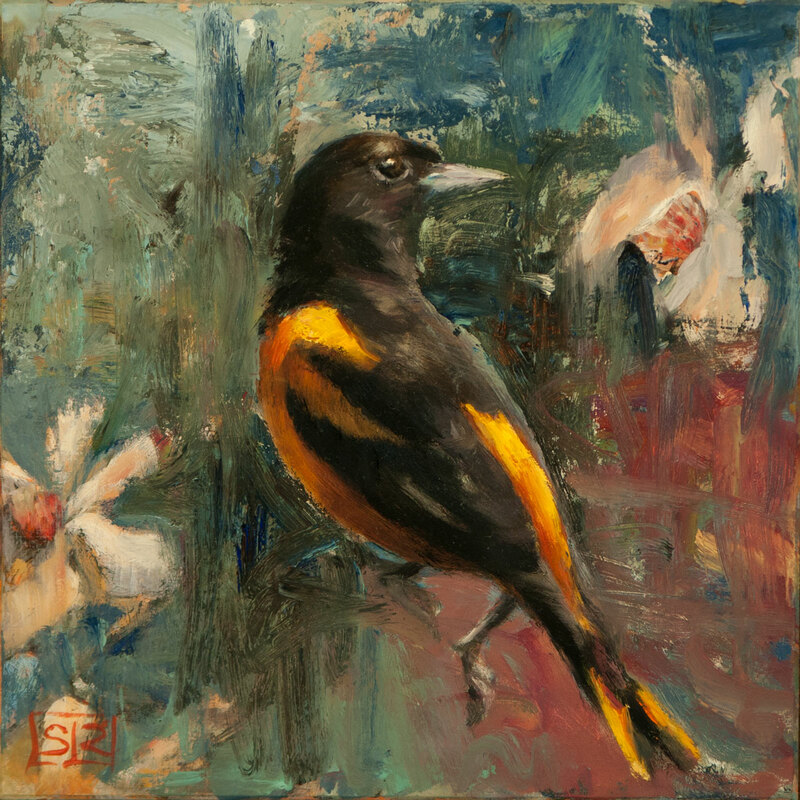 Baltimore Oriole in Magnolia, oil on panel 8" x 8"
We usually get one of these on our Magnolia Stellata, which blooms before anything else, each spring. The oriole's orange and black is always a shock after so many months of grey, but would blend right in with our sugar maples over the next couple of months. Oh, and I'm not usually one to jump on the bandwagon, but Go Jays Go! Red fox mid-pounce, oil on panel 8" x 8"
...or perhaps we've done the infiltrating. 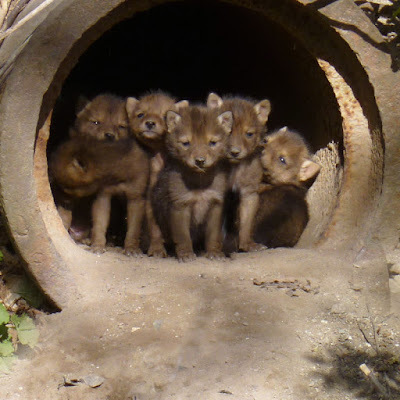 Where once there was a den of foxes in a municipal storm sewer drain pipe in the park near my parents' downtown house, now there is a den of coyotes. A brazenly curious wild pack. 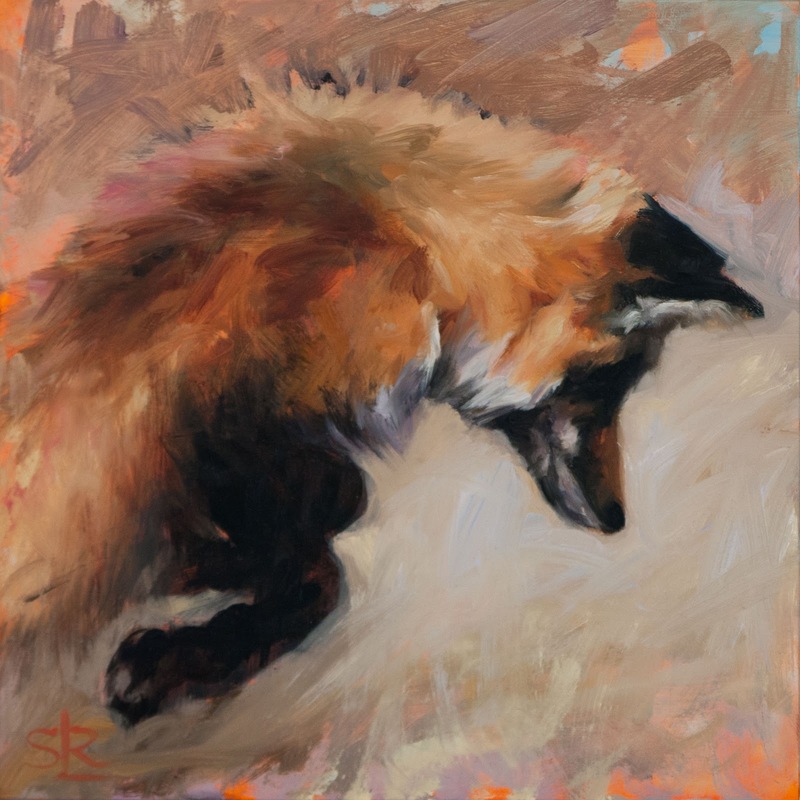 It seems coyotes are supplanting foxes as a top predator in the urban landscape. 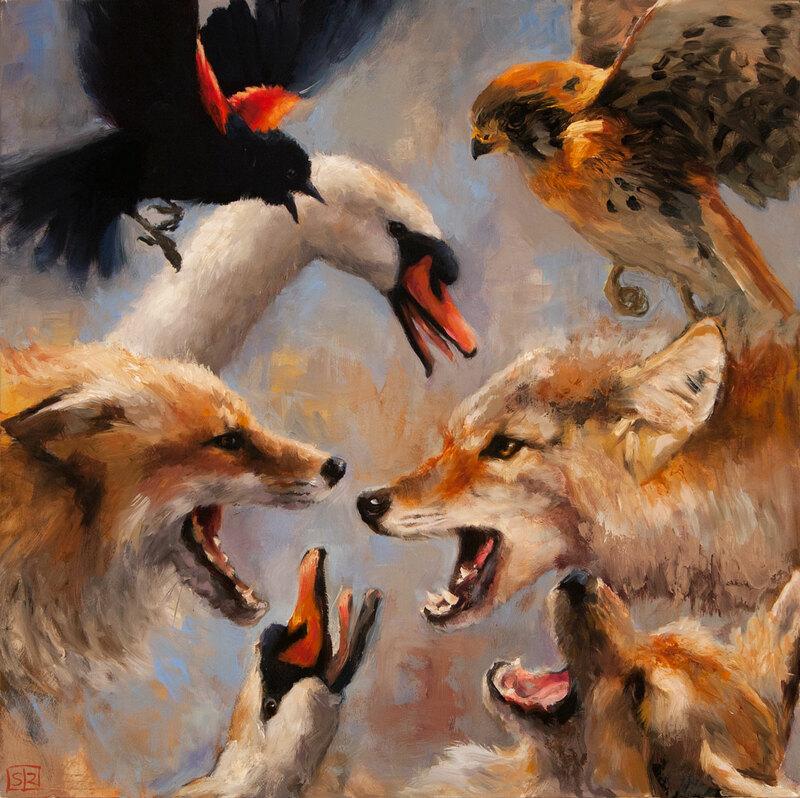 Even in the city we live so intertwined with the wild world. 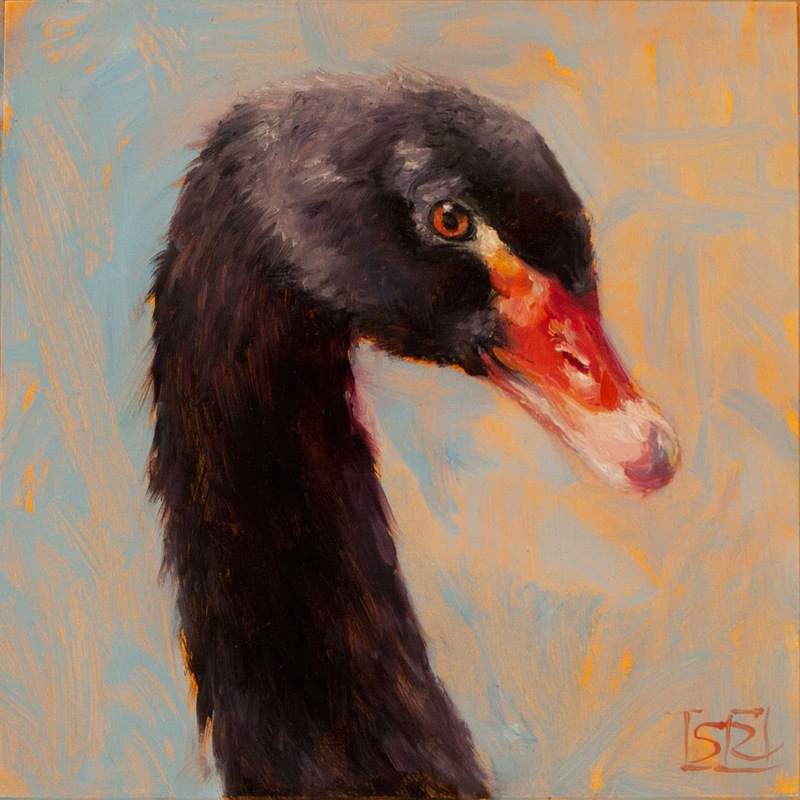 Head of a Black Swan, oil on panel 6" x 6"